New owner will be one cool cat. Portland readers, stop what you’re doing. Actually, wherever you’re from, this is much more important that whatever had your attention previously. Some guy is selling a 1986 Toyota cargo van on Craigslist for just $7,900. “So what?” you might ask. Well, this is no ordinary van. This Toyota Van comes with numerous sweet modifications, plus one original factory-installed icemaker. Not many vehicles come with such awesome standard features. 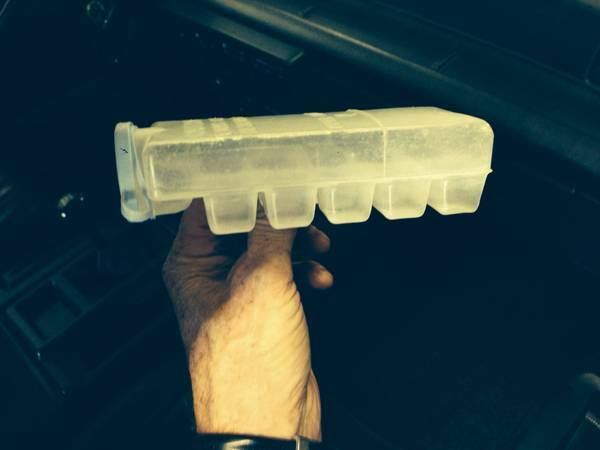 We’d seen a story previously about a Toyota Van with factory icemaker, but this fact had slipped our minds—until now. A factory icemaker is cool and all (geddit?!) but there’s so much more to this van that make its seemingly steep price tag a steal. A/C (not always a standard), subwoofer, stainless side and rear door sills, and indirect LED accent lighting are just a few of the features that make this one-of-a-kind Van the ultimate cargo vehicle. This van, which is the second awesome vehicle we’ve found for sale on Craigslist today, is sure to make its new owner sublimely happy. Think of all the cool drink he or she will enjoy on the road, no matter the temperature outside. We’re jealous, but unfortunately a trip to Portland isn’t on our calendar just yet. But to whoever purchases this Toyota cargo Van, we hope you will enjoy it—and its quirks—for many years to come.